Sailboats are stored by the Charles River, overlooking Boston, in time for ice skating and hot chocolate. 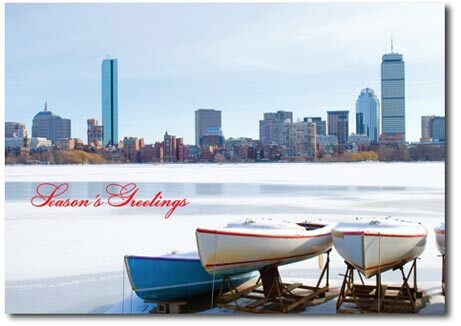 Warm Season's Greetings are sent to all with this beautiful, peaceful scene. These cards can be personalized with your company or family name. Boats off the Charles River, Boston, Massachusetts.